Episode 108: Surviving A Plane Crash – I’m on a plane about once every 10 days on average and I’m getting freakishly comfortable with flying. Sometimes I forget if we’ve even taken off once we’re in the air. It’s so dark, but before a flight recently I thought it would be interesting if we did a podcast on what goes through a person’s body when the plane he/she is on is crashing. That feeling is something none of us will ever truly get unless we have the horrible misfortune of experiencing it. 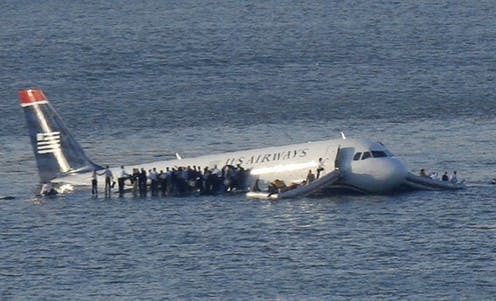 In this podcast episode released on the 10-year anniversary of The Miracle on the Hudson, Lauren, Naz, and I interview a girl who’s plane tumbled down a mountain, a man who lived through a plane crashing into a building, and Naz’s dad, a pilot, who gives the best tips on preventing and surviving a plane crash. “Like” the I Don’t Get It podcast on Facebook to chat about episodes and make friends with like minded girls!